Electrical energy has become a basic necessity for our present living conditions. Electrical & electronics equipment from ordinary bulbs to sophisticated computer stations, from tiny toy motors to huge machinery motors, consume electrical energy. At any given instant a group of such units are being switched on or switched off at various location throughout power distribution lines. Due to such addition or subtraction of loads, the supply terminal voltage fluctuates. 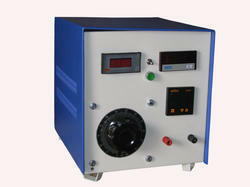 The voltage fluctuation can be controlled manually or automatically by various methods. The safest, surest and the most accurate of them all is Servo Controlled Method, which is widely accepted. 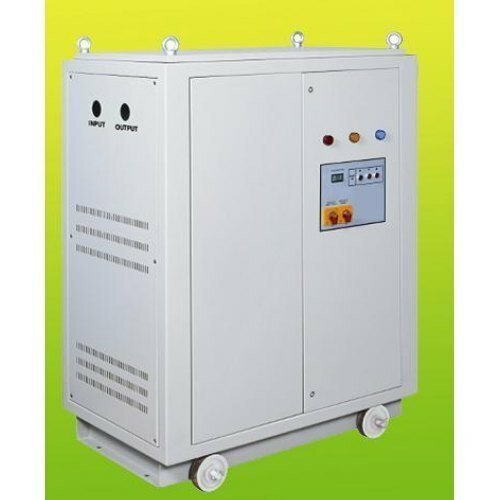 SAKTHI Servo Controlled Voltage Stabilizer has been developed after immense study of the fluctuation problems and research in the field. 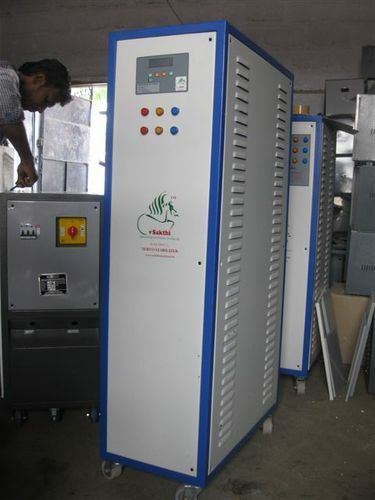 The major advantage of having an SAKTHI Servo Controlled Voltage Stabilizer is that the right from the transformer and variac circuit, all the components are manufactured and assembled in-house with assured quality control at every stage of manufacture. The performance of any electrical equipment is optimum at its rated voltage. Both over-voltage and under voltage produce harmful effects. Under voltage generally reduces efficiency, whereas over voltage shortens life. 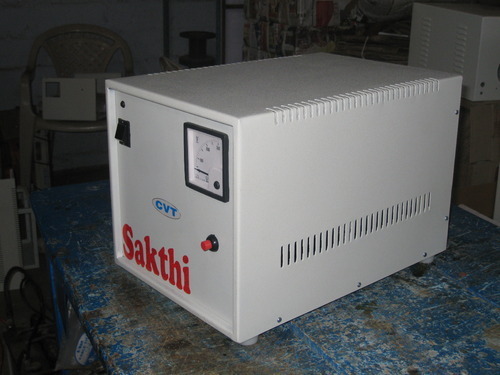 SAKTHI Servo Controlled Voltage Stabilizer is Designed & Manufactured as per IS 9815 specification by Skilled Engineers. It is a reliable product for stable supply. Its fast correction ratio against quick voltage fluctuation ensures trouble free operation for high precision Electrical & Sophisticated electronic equipments. Sitting in fully Ventilated sheet metal cabinet sprayed with lacquer finish paints. It’s rugged build & sleek looks make it a truly top-of-the-line product. Air Cooled Servo StabilizerWe engaged in manufacturing and supplying a wide range of Air Cooled Servo Stabilizer 5kva to 10 kva which include single phase air cooled. Input 300 V to 460 V.A.C. Output 415 V.A.C ± 0.5% Adj. Over Load Capacity 120% For 1 minute. Oil Cooled Servo Stabilizeroffered by us are manufactured from high grade raw material as per the requirements of our valued clients that are spread across the country. These are motorized with AC or DC motors and are extensively applicable for air cooled rating. We use 60 rpm stepper synchronous motor that are appropriate for 3KVA TO 5000KVA supply and needs special maintenance. 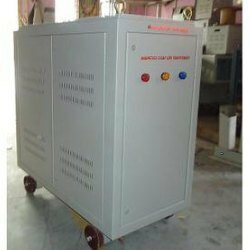 We are engaged in manufacturing and supplying a wide range of Automatic Voltage Stabilizer, which is known for its sturdy construction and compact size. These ensure no breakage in supply during correction and provide full proof protection from spike/ surge. Short CKT Period & percentage 300 % for 250 m.sec. Switching of electrical equipments in industrial & commercial areas generates spikes up to 10000 Volts & high frequency Noises. The spikes can cause the failure of Microprocessors based circuits or other sensitive electronic devices. The high frequency noises can interfere with Digital-Electronic equipment causing data corruption, loss of memory, erratic behavior of memory etc. Isolation Transformers eliminates such noises & attenuates the spikes to minimal values, providing complete protection against such electrical disturbances. It consists of a double wound transformer with extremely low coupling capacitance to galvanically isolate the voltage spikes and reduce noise from main with extremely high insulation resistance. Galvanic Isolation between primary and secondary winding. It protects microprocessor/microcontroller based system from dangerous noises and reduces the failure of drive. Optimum design for long life with reliability. This is an advanced version of Isolation Transformer. Construction of this is very different from the regular isolation transformer. In this secondary coils are split (or primary and secondary coils) as two or more coils according to the capacity of the transformer. The shielding method is also different because of the construction style. There is an inductance created between the coils because it is split. This inductance will give you more noise attenuation. As primary coil is not wound on top of the secondary coil the coupling capacitance is less. This is mainly required for wireless stations and costly life saving medical equipment’s.